Our precision fittings offer safe and leak free connections from cartridges to barrels and feed tubing. This useful adapter fitting attaches to our range of tubing, pressure pots, fittings and dispensing syringes for direct attachment of other fittings. Male luer lock fitting to 1/8 Inch NPT thread. White Delrin. Suitable for use with valves and tubing and compatible with most adhesives, solvents, inks, gels, chemicals, silicones, primers and activators. Supplied in a pack of 5 or bulk value packs of 100. Use as a tip adapter fitting on metering valves TS5322, TS5322D, TS5621HD or with other fittings and connectors. All fittings are 100% silicone free and are safe for use to 100 psi. We also supply bulk packs of these fittings. Please contact us with your requirements. All components are supplied in sealed packs with labels and batch codes. Summary: Fittings for use with dispense valves, pressure pots and fluid feed tubing. 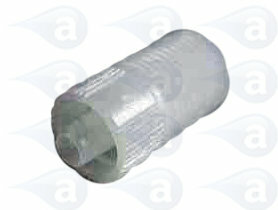 Fittings will provide a secure and leak free attachment. Pricing is for a sealed pack of (5) parts. Items are shipped in the UK by a courier on a tracked and insured service with products that are usually available from stock. Items on a longer lead time will be shipped as soon as they are made available and customers are informed of expected shipping dates.